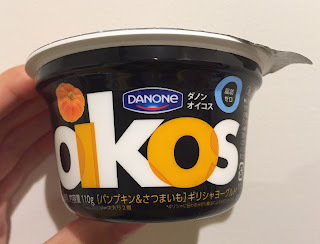 When I was in Japan, I tried Danone Oikos Pumpkin & Sweet Potato yogurt. On the lid, there's a Jack O'Lantern. 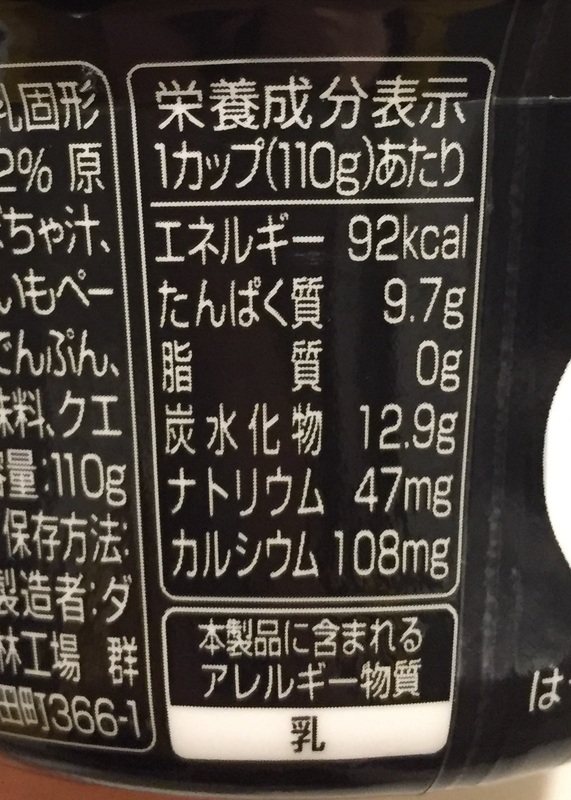 The logo was different from what I see on the products in the states. It's bright white when I removed the lid. 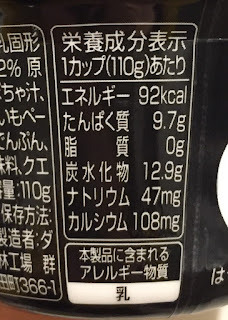 At the bottom, there's orange colored puree. When I mixed them well, the yogurt became cream color, and the characteristic Greek yogurt sourness went very well with pumpkin & sweet potato puree.